​AND STRENGTHEN THE IMPACT OF YOUR PROGRAM! 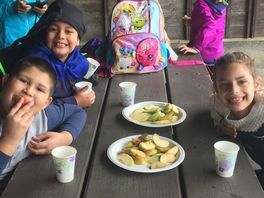 OUR GOAL IS TO PROVIDE YOUR SCHOOL WITH A MAP FOR A SUSTAINED, BOUNTIFUL AND IMPACTFUL SCHOOL GARDEN AND WELLNESS PROGRAM! Select a Package that is right for you. Not sure? We are happy to help. Email us to schedule a FREE 1 hour intake meeting. We will talk about the history of your garden program and your current program goals and budgetary constraints. Each package includes a scope of work that is tailored to your school's program needs and vision. ​Below is just an example of what these packages could look like. ​Take $35 off our Professional Development Classes. ​Onsite family cooking and meal planning workshops. through social, cultural, and environmental experiences. Engage in cross-curricular Common Core project-based garden lessons. 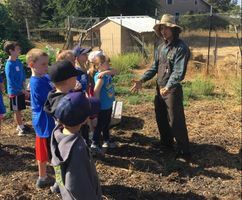 Grow their own foods in school gardens. Prepare and Eat fresh, whole foods. Gain better access to locally grown crops. 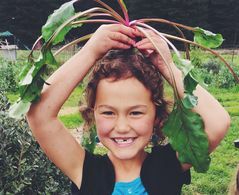 Become the next generation of empowered and healthy eaters! LCAP* is a tool for local educational agencies to set goals, plan actions, and leverage resources to meet those goals to improve student outcomes. WORK WITH US! Complete your intake and kick-start your program today!